Diarrheal diseases kill approximately 1.8 million people per year. Globally, approximately 2.5 billion cases of diarrhea occur among children under 5 years old every year. Saving lives requires not only access to soap, but also a holistic approach that integrates soap into a healthy water, sanitation and hygiene program. 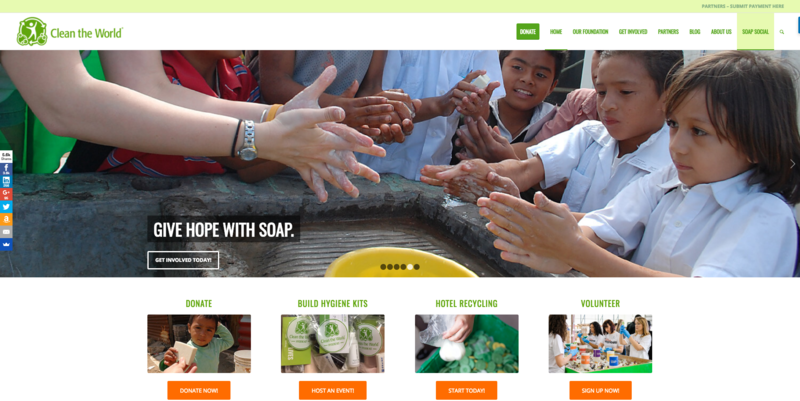 Access: The Clean the World Foundation works with partners around the world to provide access to soap in a sustainable manner to enhance long-term and comprehensive local water, sanitation and hygiene programs. The recipients we target include maternal health programs, schools, community health providers, and nutrition programs Hygiene Promotion: There are many examples of poor hand washing results even when soap is available. Perhaps surprisingly, in the United States less than half of people wash their hands after using the toilet. To address this, the Clean the World Foundation is actively partners with the Public Private Partnership for Global Handwashing (PPPHW), members of private industry, the CDC, as well as academia to develop more effective approaches and programs to create lasting hand washing habits..
An inspiration from Nguyen Tran sharing.